Sometimes you would be surprised what people will do when they have a jailbroken iPhone. Some changes to iOS, via some super cool tweaks it has to be said, make the experience better for a variety of reasons whether they be functional or aesthetic. 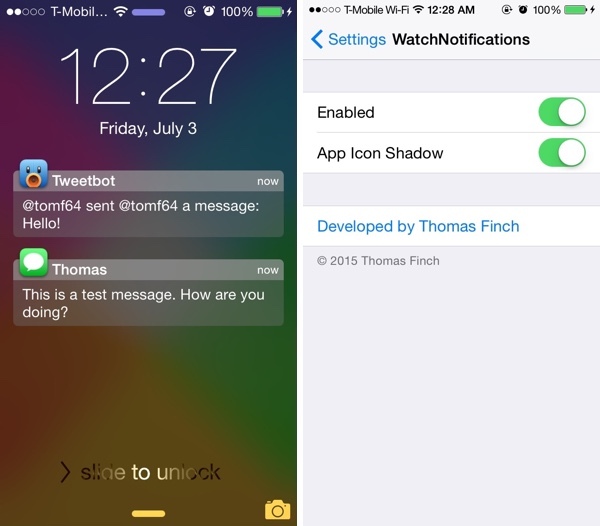 WatchNotifications, a jailbreak tweak costing a dollar and available to download from the Cydia store, falls firmly in the latter category. 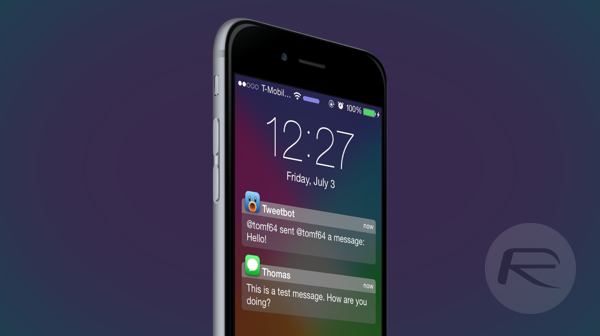 The tweak, once you’ve paid your dollar and installed it, does one thing and one thing only – it takes the standard iOS notifications and converts them to look exactly like the notifications you would receive on an Apple Watch. That means big bubbles and shadowy app icons are all the rage, and while it may seem like the whole idea is a bit superfluous, we have to admit to rather liking the end result. We’re fans of how the Apple Watch handles notifications and bringing a little of that to the iPhone is just gravy, even if we don’t think there is a great deal wrong with how notifications are handled these days. Tweaks like this are what make the iOS jailbreaking scene so popular, because even though the target audience may be relatively small – we don’t see the developer making huge sums of money from the tweak – someone somewhere will love it. That’s what the scene is all about, and long may it continue. If you do want to give WatchNotifications a try, then you can download it from the BigBoss repo in the Cydia store now in exchange for your dollar. You’ll find a new option in the Settings app for enabling and disabling the tweak as well as turning the app icon shadow on and off to suit your taste. If you want your iPhone to look a little more like an Apple Watch as far as notifications are concerned, then give this a try today. It’s not expensive after all! Not in the Bigboss Repo. For all the AT&T folks, if you wish to ՍΝᏞΟᏟΚing AT&T devices and should not get it done through AT&T, you are able to always head to just google atttiphooneuunlocking, it’s the site I have now been using for սոⅼοсking my phones so far, also the most reliable սոⅼοсking site I’ve ever use, we have the electricity to ՍΝᏞΟᏟΚing the most recent 6S and 6C as well.